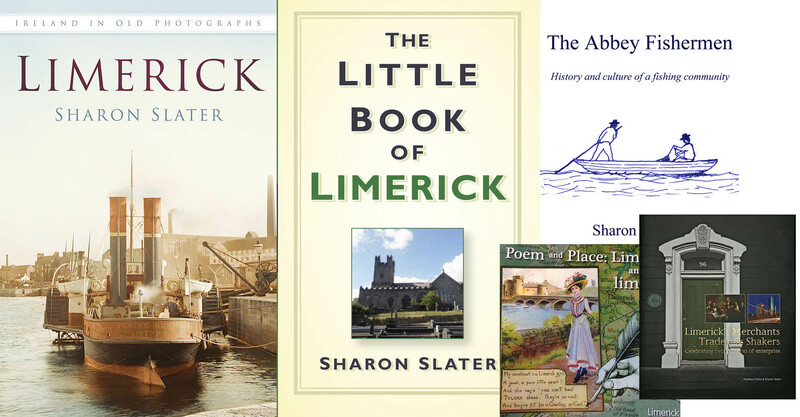 The Walters family has come up in a few of our previous posts, and it is now time that their link to Limerick was documented from it’s beginnings dating back to 1874, into the 1950s. The family were sometimes recorded as Walter or Waters. Timothy Walters, born in Templetoothy, Co. Tipperary in 1852, was a 5 foot 9 inch brown haired, grey eyed man. His first recorded stay in Limerick happened to be on his wedding day, 3rd May 1874, in St. Michael’s R.C. Church on Denmark Street. This was an odd beginning for the Walters in Limerick, as Timothy was a member of the Church of Ireland, which naturally leads to the question, why would he marry in a Catholic Church? Well, the why came in the guise of an 18 year old 5 foot 2 inch tall light brown haired girl with blue eyes, Bridget Toohey of Thurles, Co.Tipperary. Bridget was a Roman Catholic and all indications show that the couple eloped to Limerick. There are no civil marriage records to be found for the couple, so it was obviously only a religious ceremony that was performed that day in 1874. Timothy and Bridget would go on to baptise all their children into the Church of Ireland, though Bridget remained a Roman Catholic throughout her entire life. For some reason Bridget was recorded with the maiden name Ryan and not Toohey for her last three children, who she had in the lie-in hospital on Bedford Row. There seems to be no second marriage for Timothy and all the other information for Bridget matches up so it is a puzzle as to why she had two documented names throughout the records. Bridget Walters passed away on 25 May 1924 at the City Home in Limerick. Timothy passed away on 15 May 1929 in Croom Hospital, Co. Limerick and was buried beside his wife Bridget in Mount Saint Lawrence Cemetery. It is assumed that the couple remained in Limerick for a few months as on the 2nd of June 1874, the 22 year old Timothy spent the night in jail for being drunk in public. Bridget had her own brush with the law on 10 April 1875 when she “obtained goods under false pretences” and was subsequently imprisoned for 6 months at hard labour. She was released on the 9th of October 1875. The timeline here shows that while she was doing hard labour for her crime, she was pregnant with her first child, William Walters, who was born in Thurles on the 2nd December 1875. In 1892 Timothy and Bridget got into an altercation on the street with a Mary Murphy of Bow Lane, who insulted them both by “unlawfully using violent, abusive and threatening language” against them. This incident was brought to court where it was dismissed. In 1896 Timothy was accused of beating Michael Costello of New Road but this case was also later dismissed. In October 1899, Timothy was once again picked up for being drunk and disorderly on the streets of Limerick and this time he served 7 days at hard labour. On that same day he threatened 48 year old woman, Winifred Brew of New Road. Although the details are unclear, this particular altercation most likely had to do with the death of his daughter, which occurred only a month before this day, and who died while in the company of Winifred’s 13 year old daughter, Mary Brew. There is one more documented case in 1911 when Timothy was once again drunk on the streets. 1915 they were living at Watchhouse Long Pavement. Although Timothy worked as a tailor and his work would take him around the country, from 1875 until 1884 the family remained in Tipperary where they had 5 sons before moving to Limerick. Although it would seem that Limerick did not bring good luck to the Walters family as only 5 of their of their all together 11 children would adulthood. When James Walters was 5 years old in 1884, he passed away of Scarlet Fever in the St.John’s Fever Hospital. He was buried in St. Mary’s Cathedral. Less than two years later, on April 1886, 8 month old Robert Walters passed away of convulsions at the family home on Lady’s Lane . Then in 1887, 10 year old John Joseph Walters who died of Scrofula (otherwise known as T.B.) in a Limerick workhouse. Finally in 1899 the couple lost their only daughter, 8 year old Susan Walters, in a drowning accident. She was buried in St. Munchin’s C.of.I. There were two other unrecorded child who were mentioned on the 1911 census. It can only be assumed that these children died in infancy as there are no other records to indicate otherwise. Of their 5 sons that survived into adulthood, only two would remain in Limerick for an extended period of time. In 1915 in the height of the First World War, their 21 year old son John who was already enlisted in the Royal Munster Fusiliers along with his brothers, fought and died in the battle at Gallipoli, his body was never recovered. He wrote this letter to his brother Jeremiah while in training. A letter was sent to his father reporting him missing in action and presumed dead. In 1890 Timothy Walters ran away from home aged 11, boarded the City of Rome ship and stowed away to America. After his return to Ireland he was still a trouble maker and in 1895, their 15 year old son Timothy was tried and sentenced to one month in prison for stealing a pair of boots from Jane Highfield. Timothy was only 4 foot 10 inches tall and had worked as a boot-boy in a city hotel. While in prison his weight increased from 85lb to 89lb. 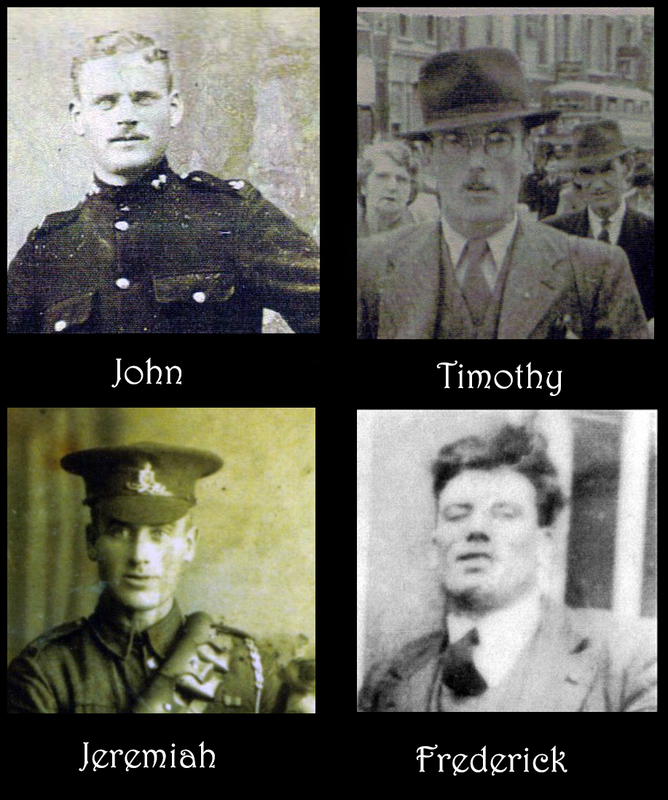 Timothy would, join the military, he was posted for a period in 1901 in Wexford where he was arrested for petty robbery. He was heavily involved with the navy and spent many years travelling the world before finally retiring to Dublin with his wife May. He would often send his sister-in-law postcards from ports throughout the world. Their son William Walters was last known of in 1911, while he was “in dock” in Devonport, Devon. Their son Jeremiah, also known as George Bernard, also travelled extensively and marry a Welsh concert pianist Elizabeth Ann “Annie” Beer. They spent many years between the 1920s-1940s living at Quarry Road in Limerick before retiring to Leeds to be with their daughter, Edna. After Annie passed away in 1953, Jeremiah returned to Ireland one last time where he passed away in the city home in 1957. He was buried in Mount Saint Lawrence Cemetery. His wife Annie wrote this letter to her sister in Wales and their granddaughter was Laura Navaro. Their son Frederick was known as a strongman and would often be seen hauling a cart full of coal from the docks. His son would later build the Ger Walters Fuel company that is widely known in Limerick. Frederick passed away in 1956 and was buried in Mount Saint Lawrence Cemetery.